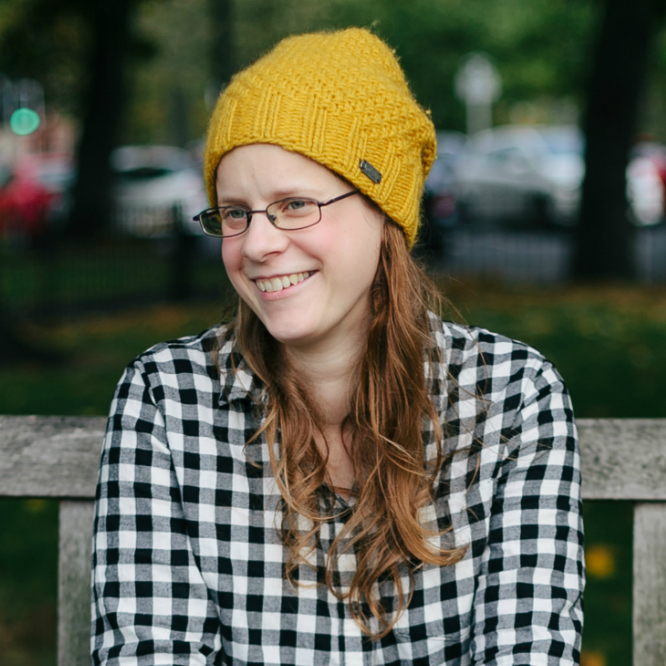 You may remember a couple weeks ago, I posted a ‘Save the Date’ about the Edinburgh Science Festival. Well, it’s here! And we’ve been making the most of it. 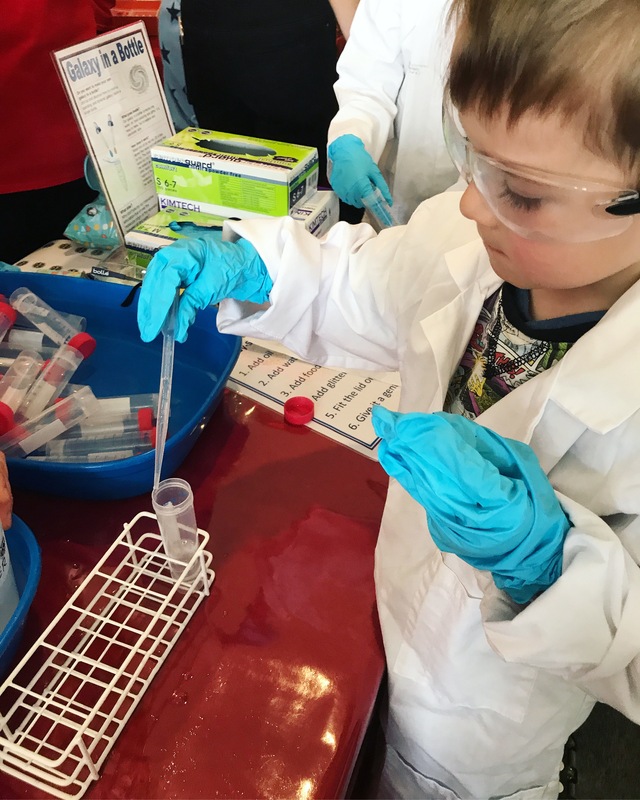 Last weekend, we visited the City Art Centre, which offers interactive science fun over five floors, and is one of the Festival’s biggest attractions. We had been offered free tickets for all four of us to spend a day there, in return for an honest review. Admission to the City Art Centre is via a day pass, which gives you access to come and go as you please all day. 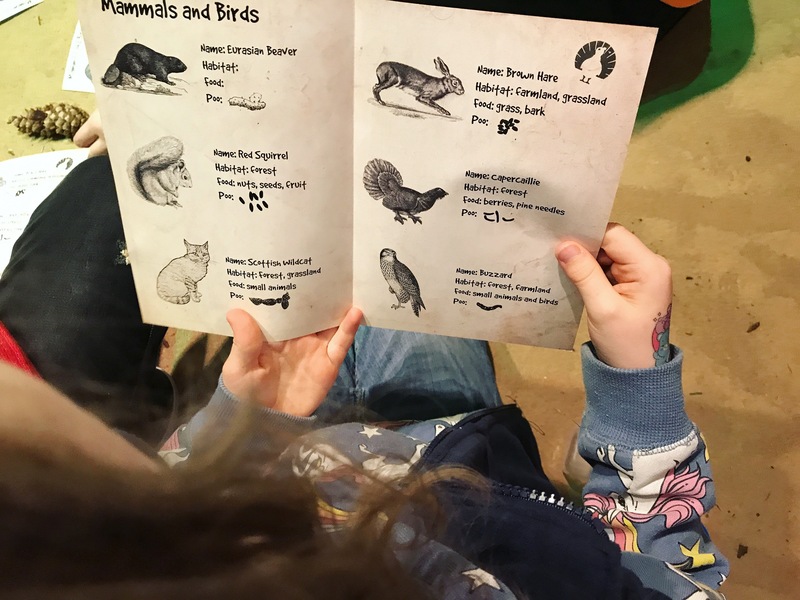 You can add up to three bookable workshops to each eligible child day pass at no extra cost, as well as taking part in as many of the drop-in activities as you like. Most of the workshops last 45 mins, except for one for the very little ones which lasts 20 mins. 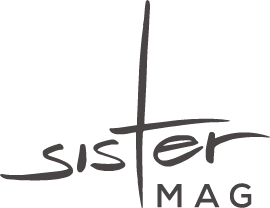 Popular workshops can book up quickly, but it’s possible to pre-book day passes to avoid disappointment. Because our boys are four years apart and fall in different age categories, it was helpful to have two adults so that we could split up and take them to different workshops. 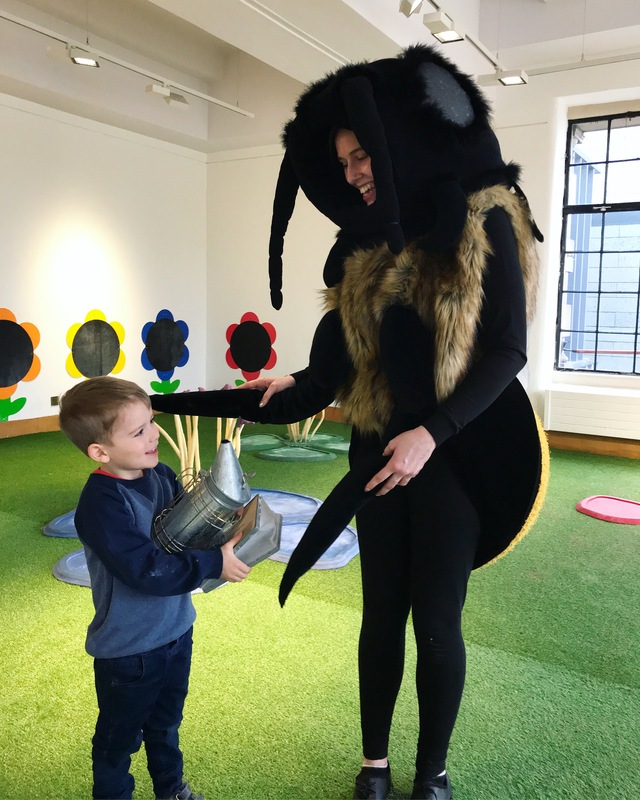 My 4 yr really enjoyed the workshop about honeybees, where he learned all about bee anatomy, hive construction, and the importance of pollination. 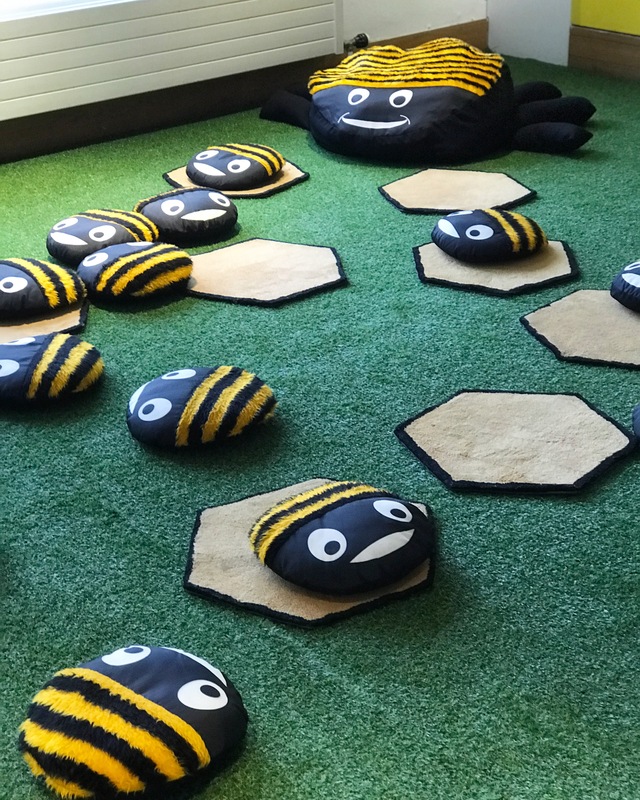 The kids got to meet a giant honeybee, and make pollen-trail patterns with their feet. 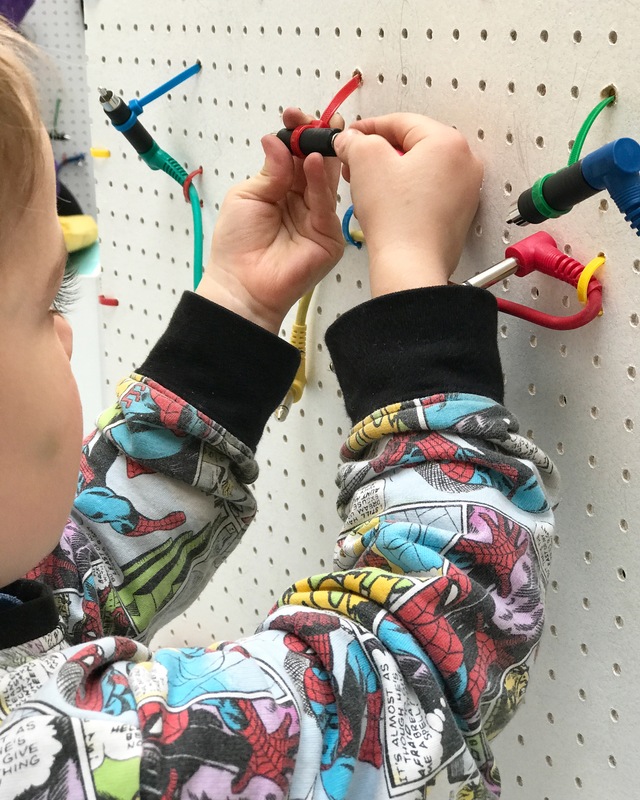 His favourite workshop though, was ‘Little Sparks’, where he learned about electric circuits, and was very proud that he managed to make his fan fly. 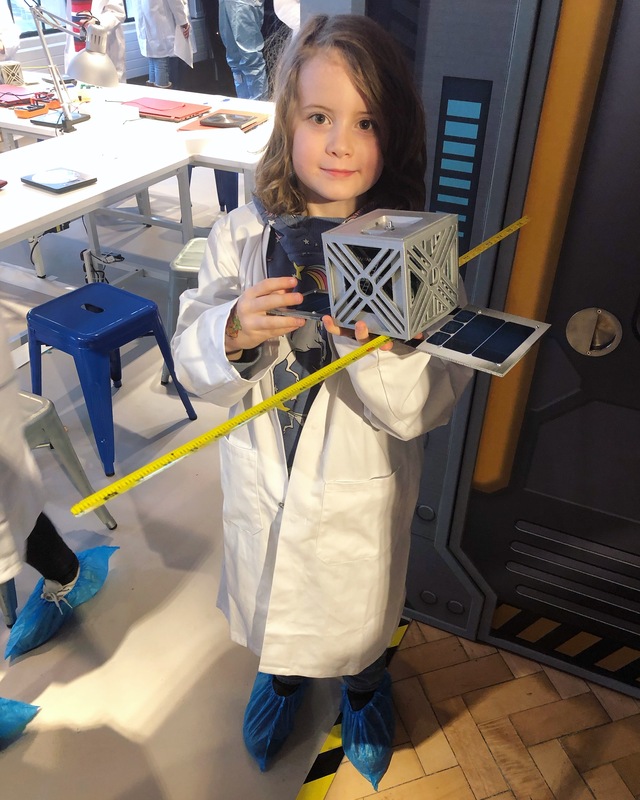 My 8 yr old chose workshops building a tiny satellite, which was his favourite, and learning about animal conservation in Scotland which he also really enjoyed – apparently he built the best beaver dam! 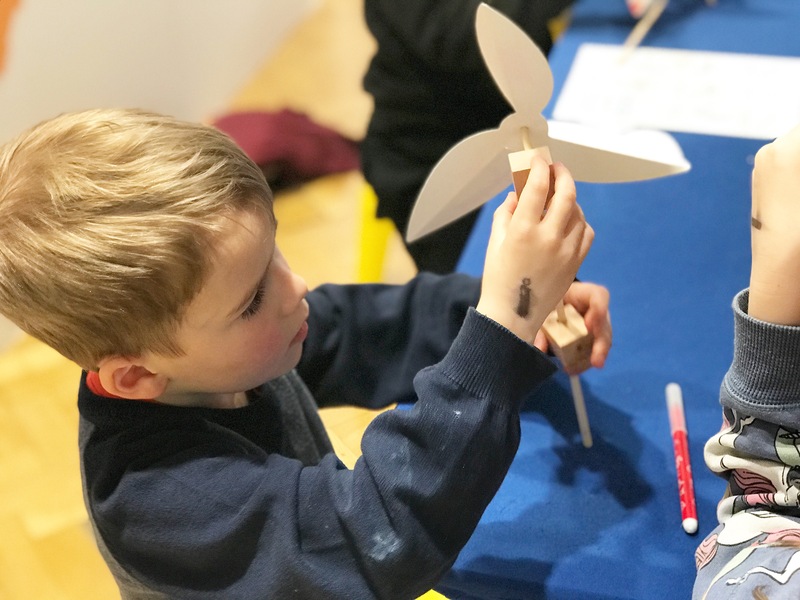 At the end of the day, the boys also attended a workshop on wind power together, where they created windmills which they then tested out in a wind tunnel. 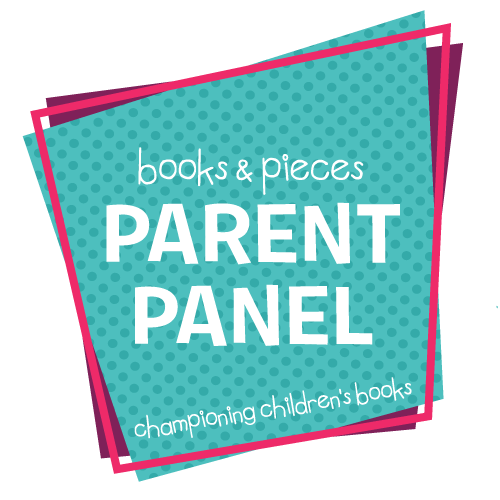 One thing that hadn’t been clear to us, was that the bookable workshops are all kids only – the adults had to wait outside. This meant we had quite a bit waiting around that we hadn’t been prepared for, but you can use the time to grab a drink from the coffee cart. 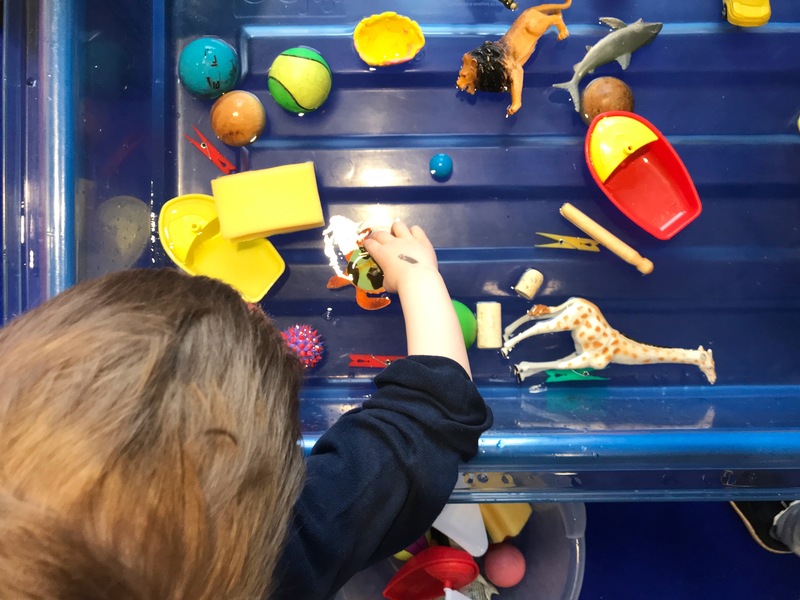 In some of the workshop spaces (though not the one for the very little ones), waiting outside also meant we couldn’t see our 4 yr old, which he was totally fine with, but maybe something to consider if your kids don’t like to be separated from you. Something else to be aware of, is that there is only one workshop this year for the 3+ age range, and the next ones after that are all 5+ or above. 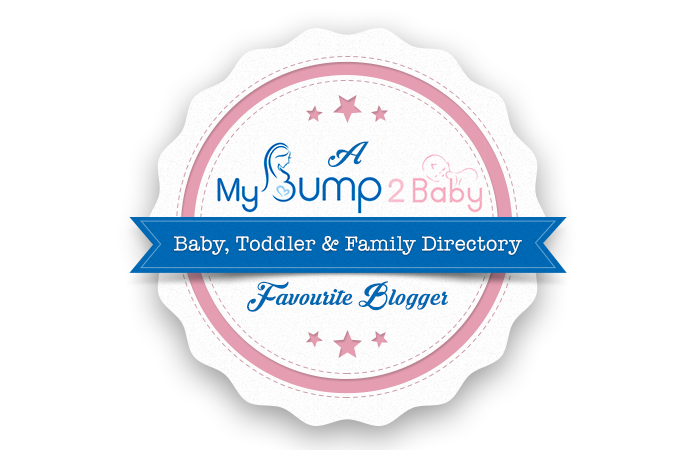 If you have kids that are closer to 5 (our little one is actually almost 4.5) then they may be able to attend some of the 5+ workshops but it’s best to check first. In the electricity workshop they didn’t even ask for his age, but in the wind power workshop they would only let him in because he had his big brother with him. But there are plenty other things to do besides the workshops, such as a big Lego construction area where everyone was building a Mars colony together, or a drop-in workshop to make a portable <Zoom Box> microscope which works with a smartphone camera, and which you could take home with you. 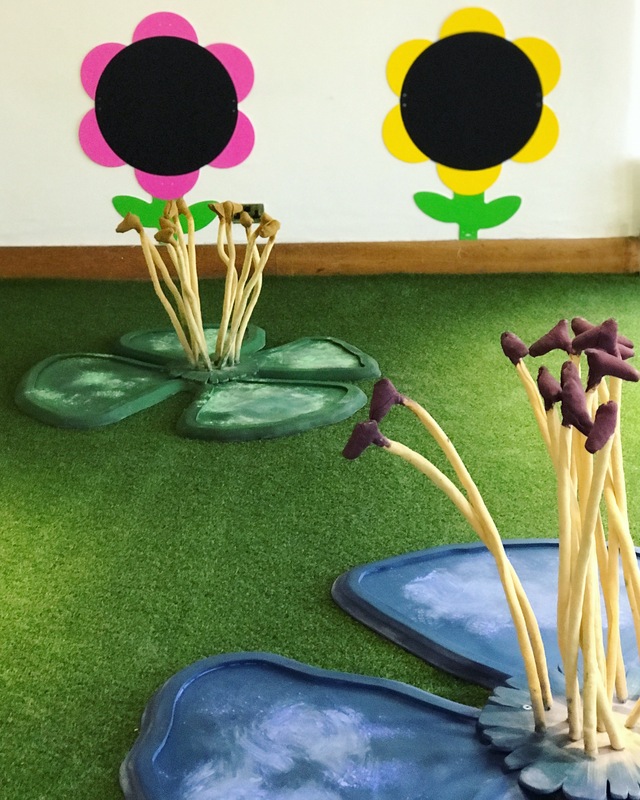 One of the most popular drop in zones, was <Wee Wonder World>, which was specifically aimed at little visitors aged 3+. 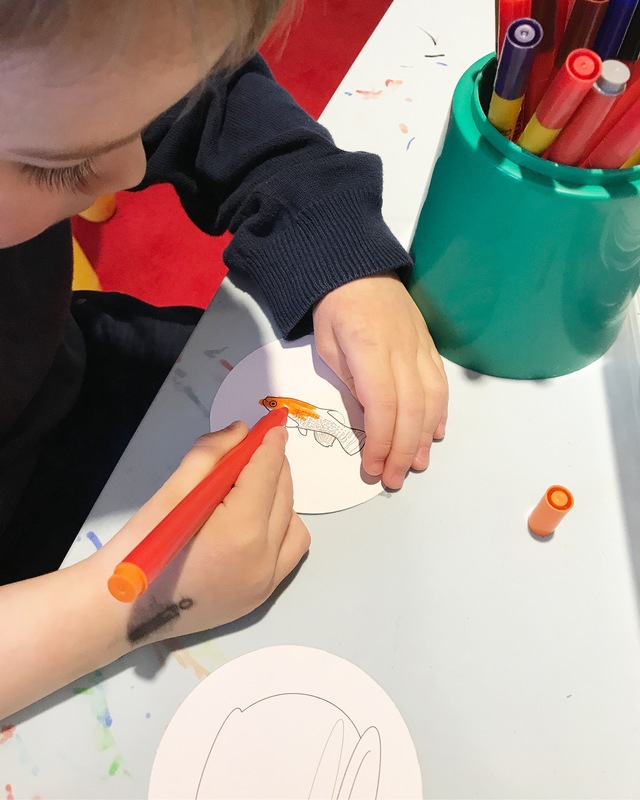 Amongst other things, there were craft activities to make optical illusions and musical instruments, colouring in, giant construction toys for little hands, a story corner, and a water table where kids could test different objects to see if they would sink or swim. My youngest was of course most drawn to the water, which I wasn’t prepared for and I’d recommend you pack a change of clothes if you want to avoid a dripping child. 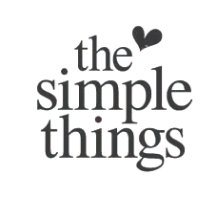 Oh, and when you are booking your workshops, remember to leave a gap for lunch and not book them all back to back! For lunch, we had brought a picnic with us and there is a lunch area on the top floor where you can sit and eat your own food (by the way, I understand that groups needs to have their lunch too, but taking over the entire area *and* stinking it out with burgers and greasy fries is NOT cool, though this was of course not the City Art Centre’s fault). But there is also a small cafe on the ground floor of the building, or you can go and have lunch somewhere nearby – there’s an excellent app called <Dribble> which shows you all the family friendly places to eat near where you are. 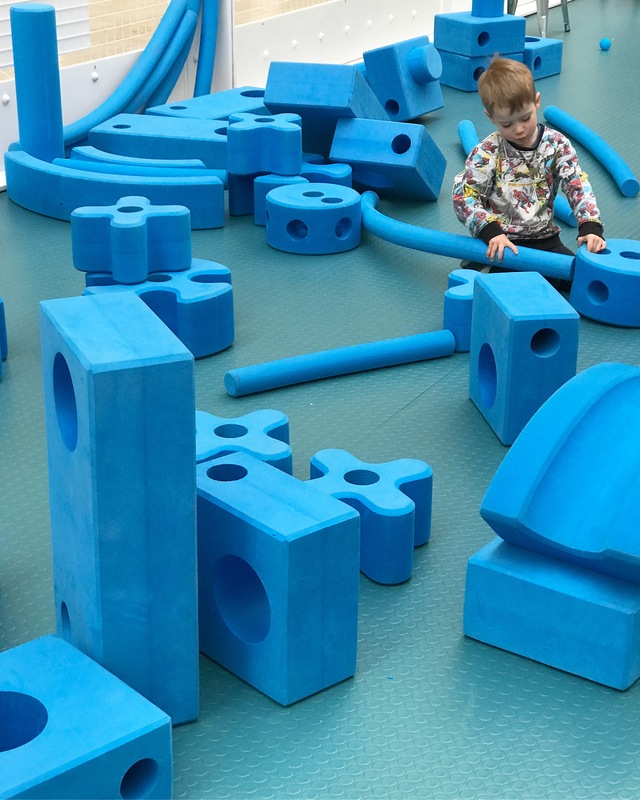 Day passes to the City Art Centre cost £7.20 for adults, £8.65 for children ages 7+, and £6.36 for children aged 3-6. Under 3s go free, and there is sufficient space for buggies as well as a lift to access all levels. 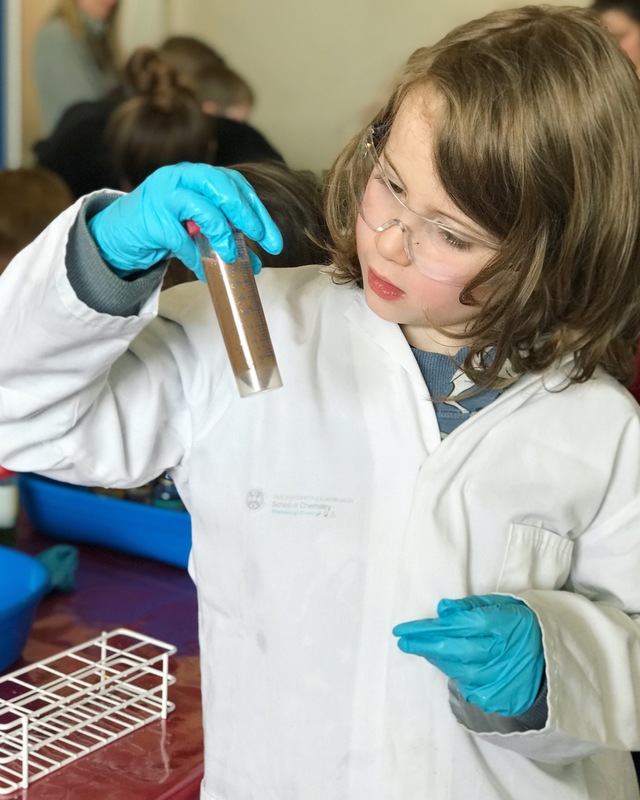 You can find the full details for all the City Art Centre workshops and drop-in activities over on the Science Festival website. This morning, we went to check out another Science Festival venue – our beloved National Museum of Scotland. This time it was the boys and me, as well as granny and my niece. 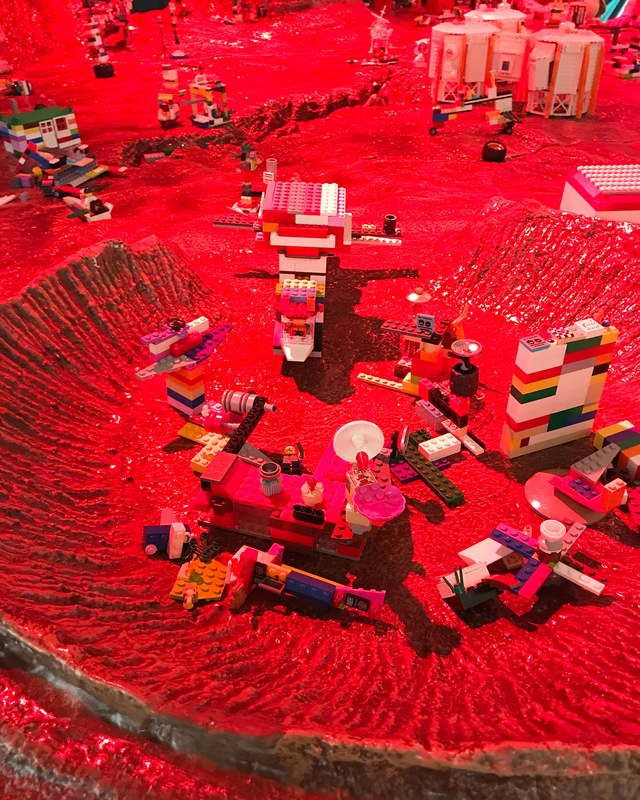 One of the main attractions at the Museum, is <Build and Break>, which comes in two parts. 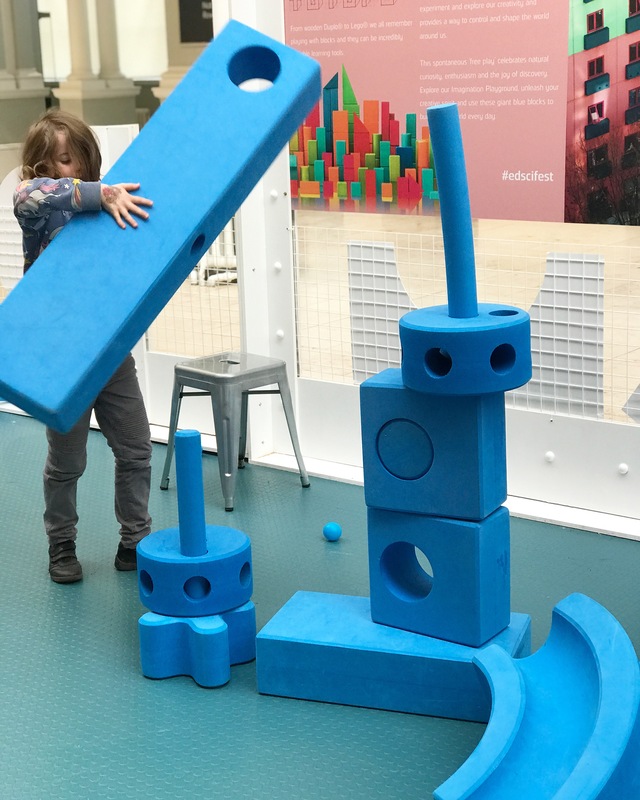 <Build> is a free-play area in the Grand Gallery, where you can construct with super-sized blue foam blocks. My 4 yr old had the longest staying power here, happily building for a good 40 minutes. In the mean time, my 8 yr old and my niece (who is 7) when to check out the other part, <Break>, where kids are let loose on old electronics, with pliers and screwdrivers. 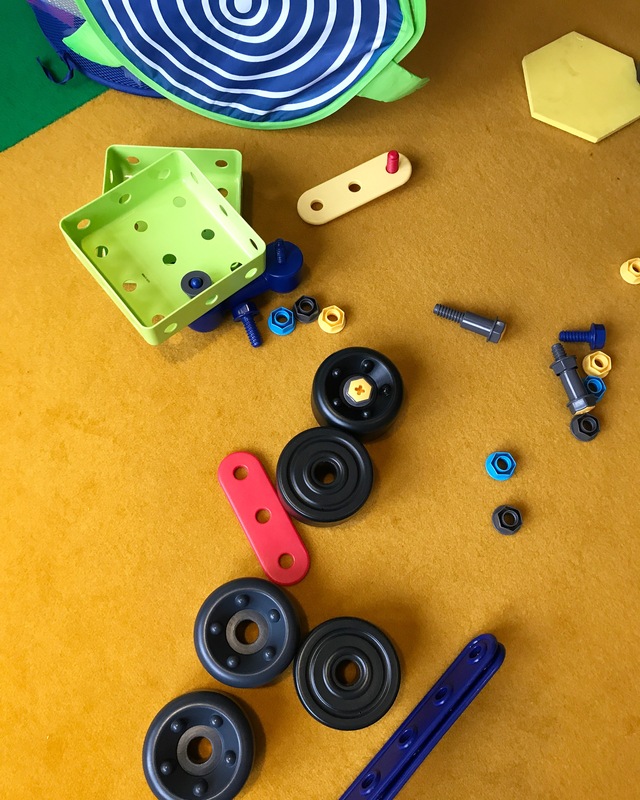 If you have kids who likes to take things apart, then this is the place to go! Keep in mind though that it is 5+ only and adult supervision is required, which meant my youngest couldn’t have taken part anyway. It also means that if you have kids either side of the age restriction you’ll need two adults so that you can split up. Luckily we had granny with us! 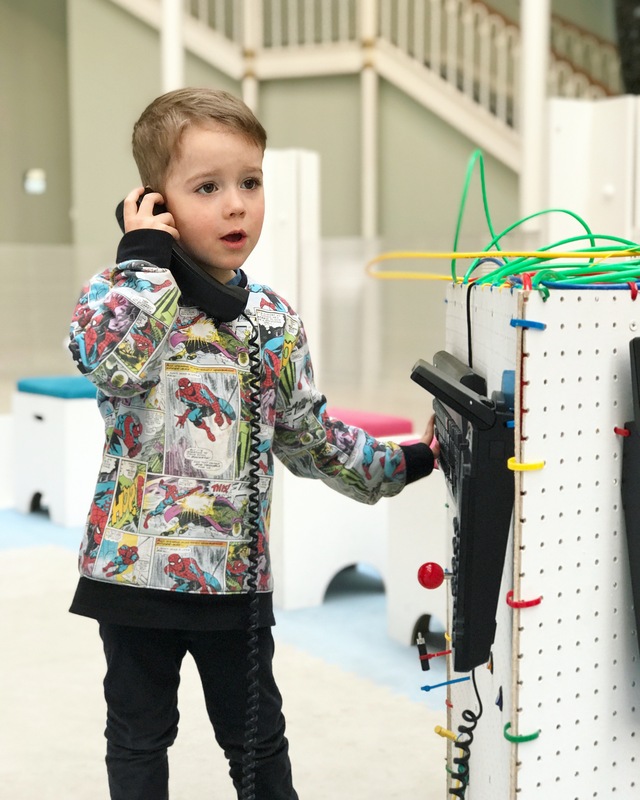 There is a small section for section for under 5s next to <Break> too, though it doesn’t really have anything to take apart but it does have lots of buttons to press, old phones and controllers to play with, and cables to connect. 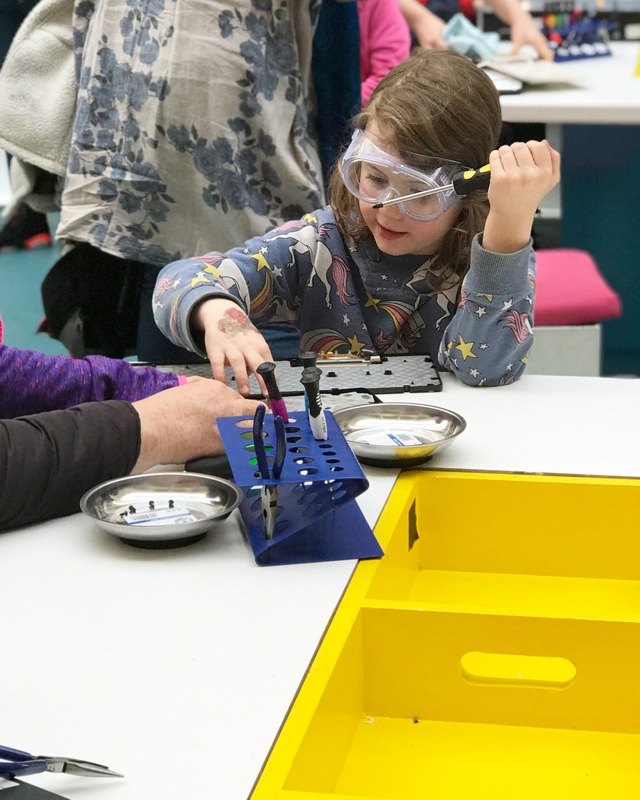 <Build and Break> is a free drop-in activity and is on for the duration of the Science Festival. We also spent a good hour in the Learning Centre on Level 2, which has free drop-in events that change over the course of the Festival. Today, one half was dedicated to robots and the other half to chemistry. In the <Robotorium> the kids played with some humanoid robots, and controlled some robotic spheres (which were so fast I couldn’t get a photo of them). In the chemistry section, we built chemical compounds and the kids got to live it up as little scientists, making ‘galaxies’ in a jar. 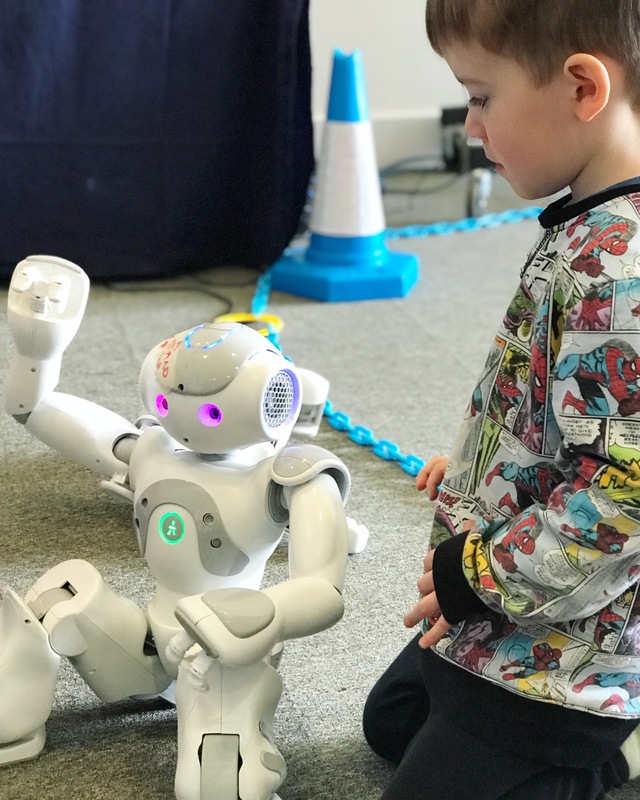 Both the robots and the chemistry are on until 15 April, and you can find the full programme of events at the museum over on the Science Festival website. 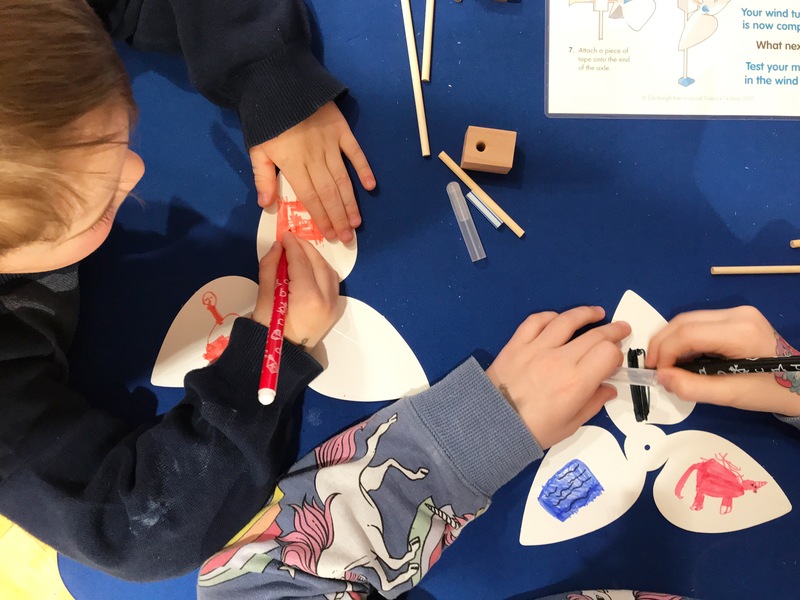 There’s loads more to do at the Edinburgh Science Festival, at various venues across the city, and we are hoping to make it to the Royal Botanic Garden in the next few days, if the weather holds, to take part in their Easter trail, which is also part of the Festival. 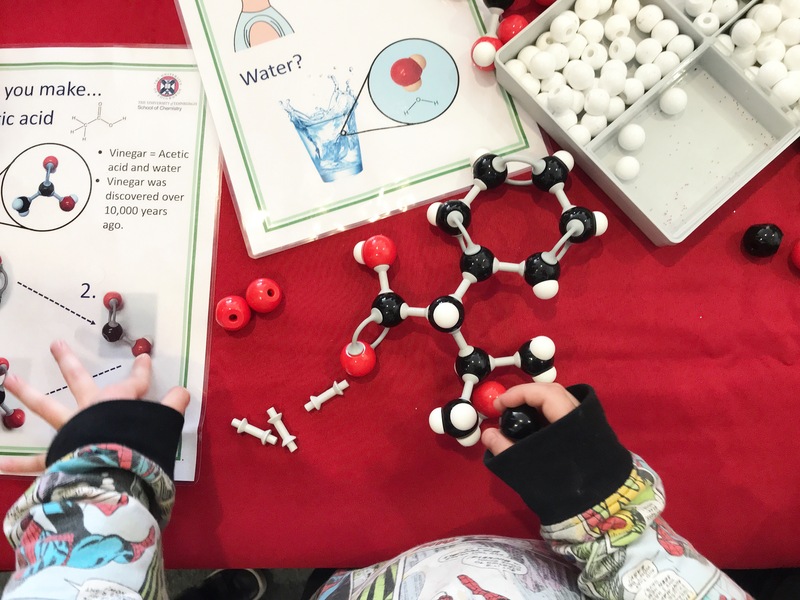 We are absolutely loving the Edinburgh Science Festival so far, it’s a great way to introduce kids to science in a fun way! 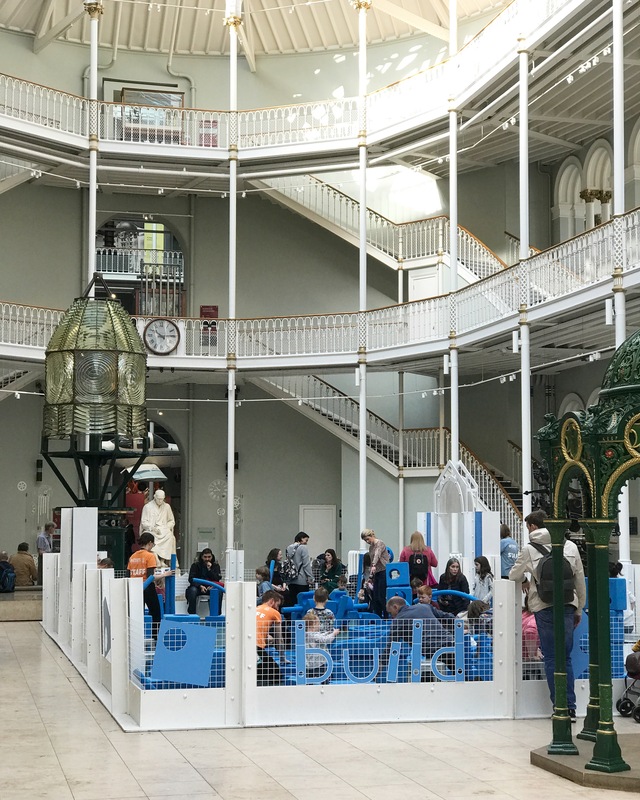 Disclaimer: We were given four free day passes by the Edinburgh Science Festival, to attend the City Art Centre, in return for an honest review. All words and opinions are our own. My 3 year old loves anything to do with science so this is something she’d really enjoy. Looks great for kids but a shame there is no adult workshops. Wow this looks like so much fun. 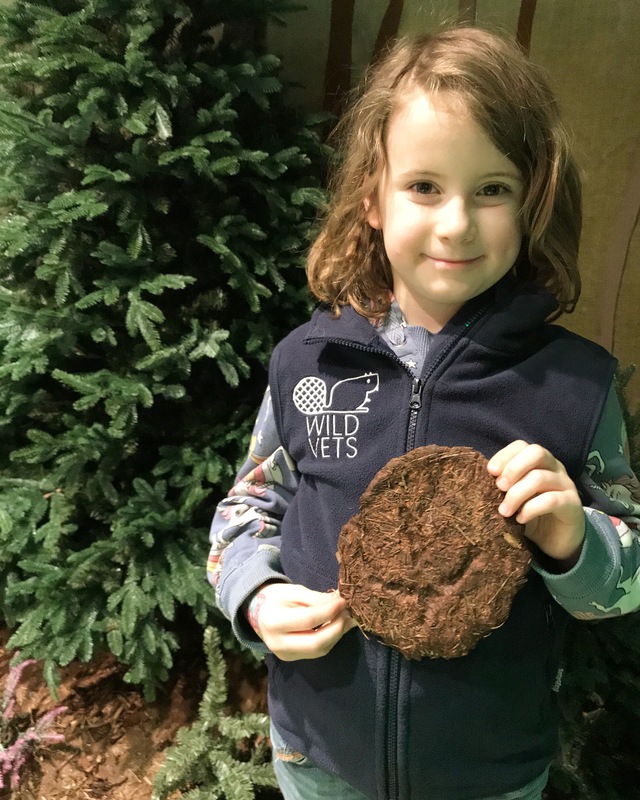 I have never taken my daughter to a science event or museum before. However judging by some of the pictures we missed out big time. What a fantastic day out. I know my kids would really relish something like this, especially all the workshops going on. I used to love attending science festivals as a kid but did not know there was one in Edinburgh too but how lovely. 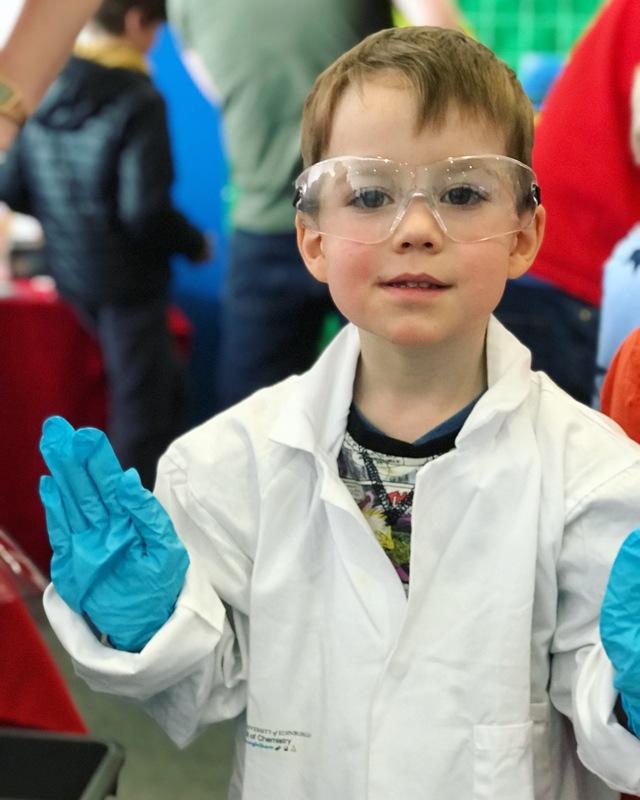 I took my children to a science event like this when they were younger … they are now flying high in science at school – so I often wonder if their interest was piqued by the event. These are great days out – educational, though they don’t realise it! What a fantastic place to visit, reminds me of the children’s museum in Palo Alto we visited last year.